Cherry Casino – The Game Show! Spin for your share of the pot! Play for a guaranteed share of the €2,000 prize pool! To celebrate the launch of Joker Pro, the latest Netent creation, Cherry Casino is holding a 3-day “Bet it and Win” race on three Joker themed slots. The prize pool will be shared among all players qualifying for minimum €5 reward and according to the percentage wagered on the three slots over the tournament period. The more you wager the more you will get back. Get ready, set, spin! Not playing with the Immortals at Cherry Casino? Then sign-up now, collect 20 Free Spins just for registering and up to 300 Free and Super Spins on your first three deposits. 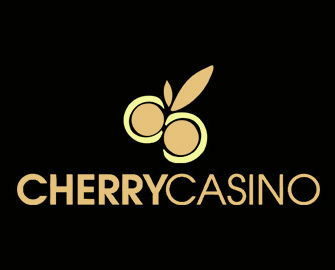 Spinning on three selected slots from 9th to 12th February 23:59 CET will be very rewarding at Cherry Casino as all qualifying contestants will get a share from the €2,000 race pool. Player will receive a percentage of their wager back, the higher the wagering / betting amount, the higher the reward. For example: If you wager, 5% of the total wagering amount from all players on all of thee Joker themed slots during the promotional period, then you will receive 5% of the total prize pool, which will be equivalent to €100. Only real money bets qualify, bonus bets are not eligible. At the end of the contest the pot is shared among all qualifying players. Those who wagered most will get the highest percentage. Minimum share is €5. Prizes are credited within 48 hours as bonus money with a 5x wagering requirement within seven days. Cherry Casino Bonus Terms and Conditions apply, read them carefully. Launched as early as 2000, the casino is operated by the acclaimed Play Cherry Ltd. under licenses from Curacao, MGA Malta and the UK Gambling Commission. A large games are offered on desktop, mobile and tablet from Netent, Microgaming, Amaya, Yggdrasil and Play’n Go. The LIVE Casino tables are provided by Netent. A good range of currencies and payment methods such as Visa, MasterCard, Instant Banking, Neteller, Skrill, Paysafe Card, Trustly and Bank Transfer ensure fast and secure withdrawals. The website is available in English, German, Finnish, Norwegian and Swedish languages and customer support provided 24/7 via Email, Live Chat and Phone. Good luck playing with the Immortals! Cherry Casino – Viking’s Treasure Chest Hunt! Cherry Casino – Happy Hour Cash Races! Cherry Casino – The Castle’s Kabuki!